Registration: 9 – 10 a.m. Symposium: 10 a.m. – 4 p.m. Reception: 4 – 6 p.m.
Purpose: The WSSC Water Symposium is designed to provide an opportunity for water resource professionals to gain increased awareness about emerging technology and trends in the water industry from experts in the fields of utilities, academia, government and the private sector. WSSC looks forward to hosting this dynamic event for water industry professionals to come together to learn, discuss and collaborate on means to provide the residents of the National Capital Region with life’s most precious resource. This panel will discuss Smart Water Technologies that help utilities reduce both apparent and real water losses within their water transmission and distribution systems. These technologies allow utilities to detect breaks and leaks faster, continually assess pipe condition, and take more accurate and frequent measurements of metered water. This panel will highlight how these technologies are being effectively implemented by utilities in our region. The panel will explore environmental stewardship in the water industry. Panelists will discuss the importance of continuing to enhance and protect natural resources and the environment for the health of future generations. The panel will explore WSSC’s adaptation to Climate Change, GHG emission reduction goals/plan and mitigation. This panel will focus on the topic of alternative water supply development. The goal is to raise awareness about research and technology that is forecasted to accelerate innovation in water treatment and reuse. The panel will highlight emerging systems aiding in the transition of solid waste management from sewage treatment plants to resource recovery centers. WSSC’s will highlight its upcoming Piscataway Bio-Energy Project, which will enhance the current operations of the Piscataway Wastewater Treatment Plant to include biosolids processing facilities. These facilities will enable WSSC to produce Class A biosolids, which are safe, treated, and sustainable. Loudoun Water will highlight the industrial cooling use of reclaimed water to serve data centers and issues regarding “do not drink” directives, discharge permits, workplace aerosol exposure and other challenges in providing this service. This session will consider key questions, challenges, solutions and areas of interest relevant on a regional and national level. 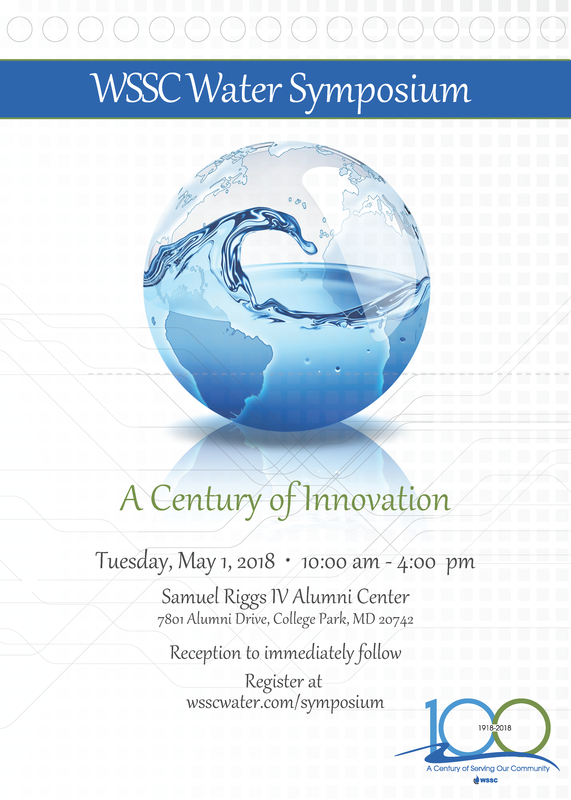 Leaders in the water industry will come together to discuss the future of the water innovation, shared lessons learned and answer questions that address industry challenges.